How I Finally Got Rid of Pantry Moths! You open your pantry door, and you see a tiny flutter of something zigzagging its way, fluttering through the air. It’s a moth – not the sweater-eating moth, it’s definitely smaller than that. This one is eating your food! Boric Acid , and the safer, but equally effective, Diatomaceous Earth . Boric Acid and Diatomaceous Earth effectively get into those nooks and crannies where the pantry moth lays their eggs. Like where? In between the weaves of a wicker basket (they actually use this for food! ), underneath the folds of your whole wheat flour paper bag from the store. (They won’t touch white flour, by the way, FYI), and they bore holes through plastic ziplock bags to get to the grains you’ve stored. They also like to spin their nest-like webs underneath your pantry shelves, in the corner, below the shelf, where you can’t see them. This is where the powder comes in. You can sprinkle the powders in these areas, and it will stay put, and not make its way into your food. However, if it helps you, Diatomaceous Earth is safe to ingest, and farmers use Diatomaceous Earth to mix into horse feed to destroy the bugs. No fumes, no smell – no human poison. How safe? A study by John Ball Park of Grand Rapids, Michigan; Brookfield Zoos of Chicago Illinois; and Buffalo Zoo of Buffalo, New York found that a mixture of feed incorporating 2% diatomaceous earth was sent to three zoos for evaluation. John Ball and Buffalo Zoos reported that their black bears on the special feed showed a better coat and clearer eyes. The primates fed at the Brookfield Zoo displayed a pronounced improvement in both appearance and behavior. Stool samples taken at all three zoos showed an absence of any internal parasites – adult or egg. Parasites in these animals were present prior to using the diatomaceous earth food mixture. You don’t have to mix Diatomaceous Earth into your flour — just sprinkle it around your flour. You’ll need to do a bit of detective work to find out where the pantry moth nests are located in your home. So, grab a bucket of soapy water, and a sponge and start clearing your shelves. While you’re pulling stuff out, take a look at those packages of whole foods and grains that you bought with good intentions, but never opened, (the pantry moth’s favorite meal) and see if you don’t find that webbing around the folds of the packaging. Once everything is out, start wiping down those shelves, and make sure you look under the shelves. Then, keep going up, because the pantry moth loves to lay eggs around the warmth of your light fixtures. When you wipe out a “nest” take it immediately out of your house and drown it! The top of your fridge is warm, and so is behind it. 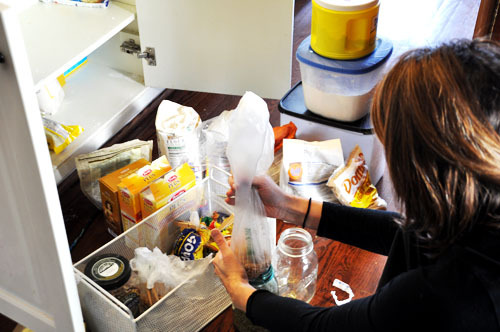 Wipe off the cans, the bags, the sacks and boxes, and everything that’s in your cupboard. Consider moving the whole grains and beans to your freezer, where the pantry moth can’t get to them. If you want to keep the whole grains in your pantry, consider storing them in sealed glass containers. (The pantry moths can lay eggs under the lip of metal tins.) Pantry Moths can eat through your plastic containers…eventually. Once you’ve found a few pantry moth nests and larva, and wiped them out, you may think you’re done. You are not. These pantry moths are tenacious. There are more tiny little eggs hiding somewhere. And they will wait until the coast is clear, and the food supply is back up, to hatch. Trust me… there are eggs somewhere. You just can’t see them. So, now this next step is vital. Before you put all of those pantry items back in your cupboard, you will have to sprinkle some of that Boric Acid or Diatomaceous Earth around those clean cupboards. I know… all that work you did of cleaning. But you don’t want to go through this again, do you? So, sprinkle that powder where you’re sure those baby moths might drag their silk trails through. This is your insurance that if you did miss something — and you did, because you are not cleaning with a microscope– you have protection against another infestation. Remember, larvae are more patient than you are. So, while you won’t need to reapply the DE, as it does not lose its effectiveness, but you’ll need to leave it in place – for a little more than a year. A mess? 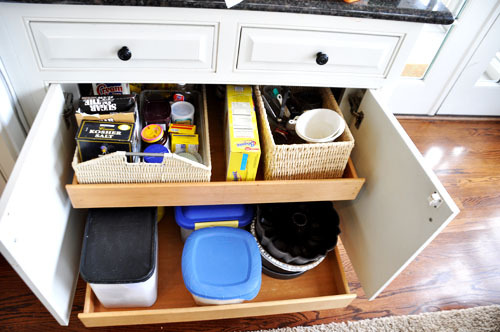 Yes… but if you’ve every tried getting rid of the pantry moth, you’ll know that this mess is worth it in the long run. Because, remember, those larvae are tenacious! And, what could be messier than a bunch of moths and worm running through your foodstuffs? I’ll take a sprinkling of DE dust around my pantry any day. Wouldn’t you? And, remember. You may not have a pantry moth, but the grocery store does. You may bring home a brand new box of buckwheat — but there are pantry moth eggs nesting in the glue of the packaging. This powder will ensure they don’t take over again. Here’s what you can’t do for Pantry Moths. The Pantry Pest Trap emits a pheromone that attracts the pantry moths so they get stuck and can’t reproduce. I have grave reservations about this contraption – I actually found my moth population increasing when I purchased those things. Maybe it made the moths more fertile, or something… but they did little to stop the problem, except for making me going out to buy more. Maybe that was the point. Once you’re sure, and I am VERY sure, that the larve are gone, you’re free to vacuum up the DE around your pantry. But, keep the bottle around. The applications for DE are wonderful. They can safely wipe out an entire bed bug population. A Brandy Cordial for The Holidays? Yes. DE is safe for humans and animals. Farmers mix DE in with the feed to keep pests out of the food source. DE powder is not poison. It works to cut the shell of the skeleton of the insect. Yes! Safe for humans too. It works in a way that only affects insects. It depends upon the cycle of worms, and how many are their. But rest assured, the moths are more of a nuisance than the powder. The powder is even safe for us to eat. DE powder is not poison. It works to cut the shell of the skeleton of the insect. My husband and I have been battling pantry moths since October 2016. We have had it. One of the most frustrating tasks we’ve ever had to deal with…and it doesn’t seem to be getting better. We also have the pheromone traps and had an exterminator spray about 2 months ago. We both commented that the problem seems to have become worse since the exterminator came. Did I mention we’ve been using our refrigerator for food storage since Dec? Meaning we have left NO FOOD in our cabinets since Dec. I’ve read that if you cut off the food source they can’t survive. Feeling very helpless and will try sprinting this powder in our empty cabinets. Any additional suggestions you may have are welcome! Lindsay, you have got to get the eggs before they hatch! Look at the cracks and crevices of your ceilings, behind your blinds, and other weird places. I had several in my bathroom at times, certainly no food there. If you have animals, buy small portions of their food or go with canned. No birdseed. These moths are malevolent creatures and can break even the toughest person, but know that if you keep the eggs from hatching, you will eventually win. Get a Swiffer or similar and kill them if on the ceiling, worked great for us. Thanks for the advice! We have a swifter so I will start doing the ceilings regularly. Did you use the wet or dry sheets? In regards to the crevices – we live in an old NYC apt where the cracks and crevices are plentiful. Whether it’s a tiny space between the stove and counter top or the tiny area between the top of the cabinets and the soffit (where the exterminator sprayed) we have plenty to go around. I honestly don’t know how we could possibly examine all these areas since we can’t get to them, but will certainly try. We also found a few flying in our bathroom – however I don’t know if this means there are eggs there or if they flew in from kitchen. Is it possible that there is a larger problem in the apts below us and they are making their way into our apt? We live an old 3-family home. If there is no food around how can the larvae survive? I used the dry Swiffer, and had to change the pads frequently, ewww. If you have a ladder, just leave it out, you have to get up to inspect the areas. Our house is a few years old with plain ceilings, and we could detect anything that looked off and investigate right away and wipe it away with a Clorox wipe or paper towel. As for the pheromone traps, yes, they catch the males so that the females can’t reproduce. I asked myself many times how they survived as they never infested our pantry food, really odd. I would have to ask the neighbors if they have any infestation as well, it’ll never end if the moths are not banished to moth hell. I’ve had a similar problem with indian meal moths since March. They were originally in a guest bedroom. Cleaned the room of all nests, ripped out carpet, had an exterminator spray, pheromone traps everywhere. Now they are out of my bedroom and in my living areas. I haven’t found any cocoons lately either but definitely the adults are hatching out from somewhere! I have emptied my pantry of everything!!! I have never found a logical food source in all my cleaning out. It is so very frustrating and did I mention stressful! Please let me know if you discover a solution. Same story. We became infested with pantry moths (indian meal moths) from a bag of dog food (thank you Vons…). We threw everything- literally everything- away from our pantry which is about 120 sq. ft. This was December 2016. Pantry has been empty since then (9 months thus far) and everything is in the freezer and fridge which forces me to go food shopping every 2-3 days as I don’t have the space to store everything we consume in there. I had Clark pest control come out more times that I can count. Pesticides don’t kill the eggs, and the eggs can live up to a year. There is ONE THING THAT KILLS EGGS: COLD TEMPERATURES (below 45F degrees) But I live in southern California where temperatures typically don’t reach below 60F. I use one pheromone trap upstairs to keep track (a note about those traps- only use one at a time because the use of several is counter productive and confuses the moths. Also, the traps don’t eradicate the moths, they only kill a few males that may otherwise procreate). I haven’t found any activity in the pantry in 6 months but I am still finding the odd one flying about upstairs and occasionally in the trap. Ive catalogued their activity since the beginning and noticed an influx every 6 weeks (the lifecycle of one of these little bast**ds) and anytime we had a heat wave, particularly if there was humidity. Our house is 5,500 sq ft and for the life of me I can’t find where they are hanging out or what they are eating; whatever it is, it isn’t a food source. It must be cardboard or clothing, etc. The infestation has cost us thousands of dollars with no end in sight. I’ll try this powder if I can find any larvae, as I’ve already tried everything else. Good luck to you fellow sufferers! The internet has 2 types of the diatomaceous earth. Which is the correct one to use in your kitchen? One says food grade and the other says for bed bugs, fleas, ants etc, but I’m not sure this one is safe around food, dishes etc, What say you? Food grade — and the one for bed bugs is the same…. It’s not actually food — but not toxic to humans. Has anyone tried this and been successful? Please share your success story. There are quite a few successes here in the comments — however, it does take persistence! The moth has several lifecycles that you need to cycle through before they are all eliminated. But this does work! Help is on its way! I can imagine that you are! How awful… Yes, you can sprinkle in your carpet – which is a great idea. I was so desperate to get rid of them that I sprinkled them on a mirror once — because I often found them there. One thing you can do is watch and see where they land– and cover those areas with DE — like maybe a light fixture on the ceiling? They are also attracted to anything “natural” such as wicker baskets — I’m sure you have removed the birdseed — but you can also mix the DE into the bird seed at no harm to the animals. In fact, farmers do this with animal feed to keep the insects out. Also, I read that sometimes DE is ingested, safe for mammals, to get rid of parasites! Remember also, that the lifecycle of the moths can last for several months — so it may take up to 6 months to a year before the moths are completely gone. But they will eventually cycle out as long as the DE is available. Hi everyone – I posted back in July and just wanted to share an update that we are still battling these things. We had an exterminator come out and he was unable to locate the source of the eggs/nest, so he was unable to treat the apt. Has anyone else experienced this? He also examined the apt below us, but they haven’t seen any moths, nor did the exterminator find signs of anything in their apt. We are still living exclusively out of our refrigerator and freezer, as we’ve been doing since last winter. I purchased DE and have sprinkled it in the corners of the cabinets. Does anyone have any additional advice, particularly if you have never been able to locate any nests or eggs? Has anyone located them in their closet feasting off their clothes/fabric? Does this actually happen? I had one exterminator tell me they will eat anything down to toilet paper. Feeling as helpless as I did back in July, Any insight, tips, etc. are welcome!! We had moths in our home for over 2 years. It was brought in with bird seed and it was horrible! I read this post and I purchased food grade de from a hardware store. I threw out most of our packaged food because sometimes they weren’t in the food but I could see the webbing in the folds of the package. I washed out the cupboards and killed larvae on the tiny holes the shelves go in, yuck, that was disgusting! I then dusted the de in the cupboards, on top of cupboards, and in the bird cages. It’s been 4 months, I killed 2 moths the first week after dusting the de, and I have not seen any since! Here’s hoping, and I’m leaving the powder where I dusted it! My birds have had no ill effects! Good luck all of you! I should add the de I bought says food chemical codex grade, and it’s only listed as safe for animals. What method has everyone used for applying the DE? 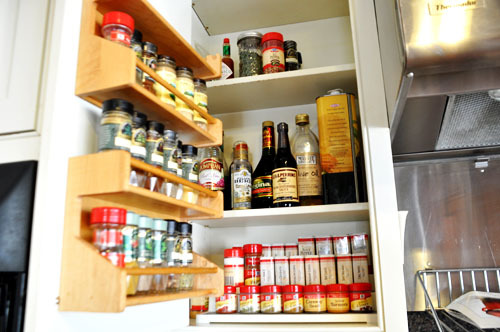 For example, do u sprinkle (think salt shaker) all over kitchen cabinet shelves? Do u apply more to the corners? Should I expect to actually see dead moths on the sprinkled DE or do they normally make contact with it and die elsewhere? Great blog! The Indian Meal Moth not to be confused with the Mediterranean flour mouth, both species infest flour. Large amounts of “webbing” is visible with larvae actively feeding as well as small, reddish gray moths. Adult Indian Meal mouth has 4 wings with a wingspan of 3/4″. The forewings are gray near the body and reddish near the tip. The head and thorax are reddish. Mediterranean flour moth has four pale gray wings with a wingspread of 3/4″ The front wings have wavy lines. Any way that works! I do like your salt shaker idea…. I will try that next time I have fruit flies. (It works great for fruit flies.) As far as “evidence” . It does not kill on contact — I don’t know exactly how long it does take, but you may start to see dried moths in corners, on the floor — kind of shriveled. 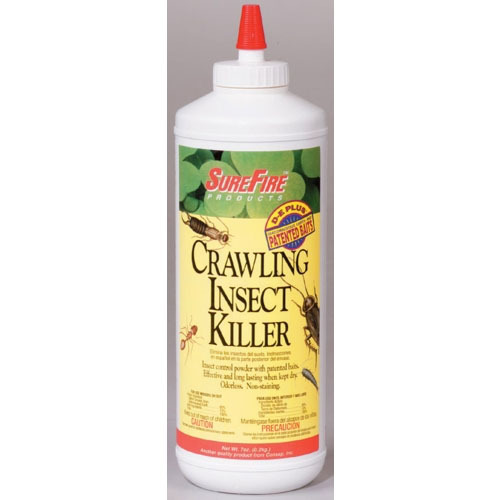 When I use it on ants etc., I often find them in corners all shriveled up — like they have been dried out. What a great blog post! So glad i found this as I just came back from a two week trip to find my pantry infested with these things. Spent my entire day yesterday cleaning out pantry, wiping every nook and cranny, even got out the tooth brush. Finished off by spraying with vinegar, eucalyptus, peppermint, lavender and lemon into all the crevices, all over pantry and even on the surrounding wall. Woke up to a moth this morning. Can’t wait for me DE to arrive! Getting ready to do the major tackle and have spent all of yesterday researching how to rid a home of pantry moths. My boss has had the problem for over a year so hopefully I a “no bugs allowed gal” will get rid of them once and for all, with the help of 3 friends of course. I own a non thermal fogger and have cedar oil ( but the smell will drive him nuts.) but am going to put the vinegar peppermint water mixture in it and fog, then will wipe down everything then spray vinegar mixture on everything that wasn’t thrown out, I will use the de and plan on going around and spraying vinegar peppermint throughout house every other day for a couple weeks or longer followed with vacuuming daily. Fingers crossed all this works. Oh ya I am having a friend go up into attic and fog up there as these things are everywhere in house so I bet nests are up there too. I think you have all the bases covered — and it sounds like a blast! I hope it went well — there’s nothing like taking back control from those terrible critters! Awesome — so sorry it happened — but at least you’re getting back in control! Two words – PARASITIC WASPS. Trust me, they will do the trick. You buy them as eggs on tiny strips of paper, they hatch and then lay their own eggs in the eggs of the moths. The wasps are practically invisible, like the period at the end of this sentence. You do have to keep up on it, though. I recommend using them every 3 weeks for 3 months, then monthly for 3 months, then at the first sign of a moth. I get mine from Natural Planet (no affiliation, they just seem to be the cheapest) but they’re also available on Amazon and some feed stores. OH my goodness!! Have never heard of this — this is a natural remedy for sure! Thanks for sharing. They are not very expensive — I just found them on Amazon for under $20! This is the correct thing – right? Super vital to put all spices in the fridge or freezer, as they love to plant their eggs near them and the larva can and WILL get into the jars. I will also use some 20 Mule Team Borax as well. It also dries out insects in jiffy. Guess I’ll buy some lavender, peppermint, and lemon scent jars to set around too. We won’t be back until next Nov. I shudder to think of coming back to a gazillion moths. I’ll try to get back with a report next fall. Good luck Folks! I too am battling these little winged devils and just had exterminator come two weeks ago. They seem like they’ve sent in reserves and I’m seeing them fill up almost all the traps. So frustrated. This is the most challenging home project I’ve done yet. Found these I a box of cereal and thought wiping down the shelves would be enough…ha! I have found the larvae in plastic ware, chip clips, Rubbermaid lids, etc. Threw away almost everything, wiped down with vinegar twice, bay leaves stuck in cracks, peppermint oil diffusing and am buying the DE right now. This is intense. I think mine came from a bag of rice from the store. Unopened it was full of live moths after about a week or so. I have been battling these little monsters for about 2’m weeks. I’m down to finding only one or two each day. i put the DE in a plastic bottle that I used for decorating cookies, it had a little tip on it. I then squeezed it into the cracks and crevices of my pantry. I’ve just finished caulking all of those crevices too. Our pantry has been empty and clean and yet they were still flying in there. Im hoping that since I’ve thrown everything at them I know to do that it works!!! I ordered the parasitic wasps from natural planet. I will let you know how they work out. Fingers crossed!!! I need help! I have a pet cockatoo and read that water/vinegar/peppermint oil will kill the larva. I brought bird food home from Petsmart and put it in plastic containers which ended up infested with moths and catepillars. I threw all of it out, including the containers. However those containers where in a wicker basket. I soaked that with moth balls and the the vinegar spray I made and moved it to the garage. I found 2 moths today and thankfully *knock on wood* havent found any in the pantry. I have grain free dog food which they didnt get, yet*knock on wood* i bought new bird froze it for 48 hours and put it in an air tight container. Any suggestions on anything else I can do? Side note: Petsmart admitted they have had owners return dog food due to this. Try the de powder discussed above. It’s food safe, I sprinkled it generously in my cages and I replace it when I clean the cages. I first started this process back in November. We will still sometimes see one or two and we kill those immediately. It’s tremendously better than it was before. For those who asked, I use a large makeup brush to dust it in cracks and crevices. Good luck all! I’m hoping that you could offer some advice about our indian meal moth problem. We noticed that we had indian meal moths last summer. We found a bag of infested bird seed (in our garage) and a bag of sliced almonds (in our pantry). We have done everything recommended, cleaned pantry thoroughly, and we are now storing grains, cereals etc. in hard plastic and glass, but we still have moths. None seem to be in our food pantry this summer. We have been able to pinpoint where the moths are located inside this summer and most are coming out of our chimney into our living room! We also have a terrible moth problem in our attics. We contracted Ehrlich (who is stumped!) and they are coming to lay mouse traps next week (thinking that maybe mice brought something edible under our blown insulation). We also put screens under our attic fans just in case seeds from nearby trees were to blow in. I can’t find a definitive answer about indian meal moths eating insulation, but do you think this is a possibility? These moths’ eggs are so small that even if we replaced all of the insulation, I fear that the would just hatch and reinfest. I’m losing sleep over these moths. Out of desperation, I ordered different pheromone traps from Insects Unlimited (they attract females too) and set up a grid system and google spread sheet to monitor every 4 days and hopefully pin point a food source. Unfortunately, the moths don’t seem to be as attracted to these pheromone traps (the Ehrlich traps and Dr. Killigans Pantry Moth Traps seemed to attract many more from my informal observation). Any advice you could offer me would be very appreciated. Thank goodness I found this blog, as it is the most helpful info that I found. I won a door prize of a bird feeder last Jan. 1week before we left for Florida for a month, so I put it in the basement and forgot about it. When we returned 5weeks later I saw these moths, identified them, and started to clean all my kitchen cupboards. 2 weeks later I remembered the bird feed, and it was crawling with Worms and webs YIKES!!! Disposed of this , cleaned around, etc, but realized they had spread elsewhere. 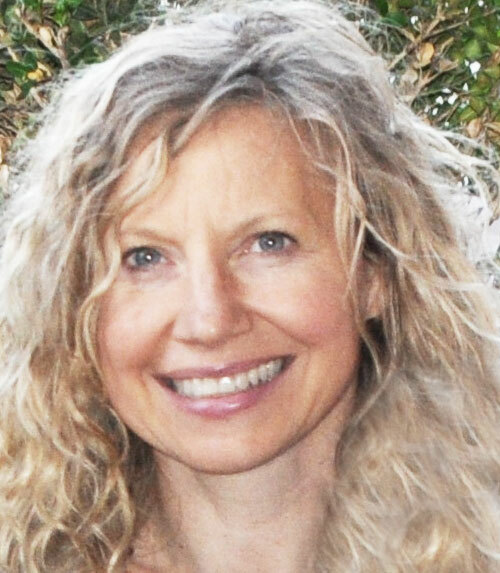 In July I read your blog, ordered large bag of diatomaceous earth and spread it all over my house, on top of window trim, pantry etc, as well as all over basement. The traps I bought didn’t car get much. I removed curtains, firewood from basement, etc. What a cleaning binge!! Thank you!!! I have been a month without any flashes of wings, so put curtains up today. Will leave powder in kitchen and basement longer. I will have lots of powder for garden slugs, ants, and for anyone who needs it. I have been driven to the brink by these moths for the past year. I followed every single of advice down to the letter and still they come. Summer was awful. They just exploded everywhere with the heat. I cannot find their nests. I cannot find cocoons or larvae, just adult moths. They are disgusting and they be darn well bionic because nothing gets rid of them. Have been battling these for 18 months or so. They were inside a bag of wheat-based cat litter (Swheat brand name, I think?) and prior to buying this, I had never even heard of pantry moths. The wheat litter wasn’t a big hit with our cat, so I left it in the garage. For MONTHS. Who knows how long it had been there…but by the time I figured out what was happening, it was a full blown infestation. Everything we had stored in the garage had webbing and the cocoons. Just thinking about that memory is activating my gag reflex. They only get into the kitchen through the internal garage access door (I believe), because I have done every possible thing in my kitchen, and nothing worked. Removing everything in my garage is simply not possible, so I have decided to go with a metered spray in there. I had read several sites and decided on Clear Zone (but any metered aeresol with active ingredient pyrethrin will work) with one of those dispensers that are used for air fresheners in offices and industrial settings. Also used Phantom II brand spray in all the crevices of my home just to be sure, but I think that was overkill. The Phantom product has a residual effect, so I think it would work similarly to the DE (as it kills the larvae; it is not a knockdown aeresol spray). The Clear Zone is a knockdown, though. So, I just went medieval on my garage with that stuff, making it go off every 15 minutes, 24 hours a day, 7 days a week. (The default setting is every hour, and that should be plenty). It is labeled as safe around kitchens and food areas (restaurants apparently use this stuff), so I bought a second dispenser and have it only go off between midnight at 6am every 45 minutes. I have only done this for 2 days so far, and no new moths in my Dr Killigans (no other traps worked as well as these for me) traps. Those little f*ckers live a really really long time inside the traps, in case anyone has ever studied them, so I figured out that 2 were still alive before activating the spray. They would have probably lived another week at least. The following morning, they were definitely dead just from the exposure to the spray. I think it’s meant to be sort of like fogging your place, but not as nuclear and much safer for pets and humans than a typical “fogger” type product. Learned about all this stuff from do it yourself pest control web stores that are based in the south (Georgia, I think), and logic told me that people in the south would definitely know a thing or two about pests and critters. It is mid October and getting cooler, which is upsetting, because if there is one thing I learned from this after a year, is that the colder months make them less active (don’t be fooled that it kills them — those moths and larvae are laughing at you right now), and if you didn’t get them all by now, you will probably see them again in April or May, which is really when you should start attacking the problem in earnest. Since I’m in California, I still have a good shot at attacking more of them for at least a month or two, since it doesn’t get too cold until Nov or Dec. I’m not naive enough to think that the problem is over, though. I will have to be moth free for at least a year before I dare celebrate. Thanks to the internet, I’ve tried diatomaceous earth, borax, vinegar, bay leaves, soap, and drinking apple Apple Cider Vinegar with the mother on full moon nights after doing 10 jumping jacks (ok, kidding about that last bit), but nothing seems to have had the immediate effect as going full nuclear. I have a chest freezer in my garage that is full now, because I freeze everything now, from the moment it comes in from the store. One week in the freezer before it’s allowed in my house, like pancake mix, or spices. Please do not ever buy wheat based cat litter, but if you must, put it in the freezer, for the love of god. NEVER AGAIN, for me. Worst decision I’ve ever made, and it has made me hate this house. Hoping this is a turning point. When will someone start a support group “Current and former sufferers of pantry moths aka once you know, you know aka I’m neurotic and jumpy now whenever I see flying things”? I can’t even enjoy looking at butterflies outside anymore because of the familiar zigzag flight pattern. Pantry moth PTSD, for sure. I wish all of you luck. I feel less alone after reading all these comments, and realize that no one really knows anything about these things until you are affected. When I first innocently asked my friends about this, only one person knew, and she first said “is burning down your house an option”, followed by “can you move?” and now that I know what I know, I realize that she was right all along. How is it going? Are they back?! I’m wondering if there might be some kind of Bat problem in your chimney — we had that once. The bats leave behind terrible things that are attractive to insects. Is it possible to have the chimney cleaned professionally, just to see what’s in there? Once you get rid of the source, you can start to manage the situation. I have found that those little critters can definitely eat through plastic. Freezing the food will definitely deter them (I read somewhere they eggs can survive freezing temperatures, Lord have mercy if that’s true.) As an added measure, I would add the DE into the food — just stir it in. Farmers do this, and it does not harm the animals. That’s the only sure way I know… Also, if possible, use glass containers to store the food — I know that would be a huge container… but maybe the HARD plastic that looks like glass. We had a steel liner placed in the chimney just a few months before the moths showed up. I just don’t understand how they are getting in because the steel liner shouldn’t have any breaks in it. I have been battling the pantry moths since June ’18. I am now doing it again. I will be attacking with two forces; boric acid and DE. My question is do I use the food grade DE or the DE from the chemical section of Lowes’ (hardware store)?? The ingredient listed on the food grade is just Amorphous Silica. The ingredients on the Lowe’s product are Silicon Dioxide 85% and Other ingredients 15%. I do not know what the “other” ingredients are. My plan was to put the loose DE on all the shelves and the boric acid laced with cornmeal in tiny muffin paper cups. I would love to know which DE would be most effective AND ok to use around food. Also, what do I do with baskets? Does the 20 Mule Team Borax work also to kill these pests? If you are using DE — you do not need to use Boric Acid. I would choose food grade DE, as you have the safety of placing it around food products and not having the risk of it accidentally getting ingested and causing harm. Horrific as it sounds, DE dehydrates the exoskeleton of insects so that they crumble and die. However, this does not happen to humans. Boric Acid also works, but it works differently, and is a poison. It is not more effective, just different. But, it is also unsafe for humans. You can lace the DE with cornmeal — to be sure to attract the insects…. As far as the baskets go, sprinkle them with DE to get rid of any nests or insect larvae that may be harboring there! So, one month in, and I’m not sure if going full throttle with pesticides worked. The weather is significantly cooler now, so I think it’s impossible to know until it warms up again in April or so. I guess it’s good to not have to think about it during the winter, but it nags at me knowing that if they are still around that they are just hibernating. Within weeks of going this route, I still saw some moths–one evening I saw FOUR in my kitchen and managed to kill them all, but still! Even before going full postal I did not see that many in one evening. Hopefully a one-off! And then two weeks later, nothing. Again, inconclusive since it also got cooler. I still see no evidence of webbing, larvae, etc. It’s so frustrating to have done everything right and still, they prevail. Are moths the winged cockroaches of the world? They will survive any and all disasters?! **shudder** Will update in the spring. 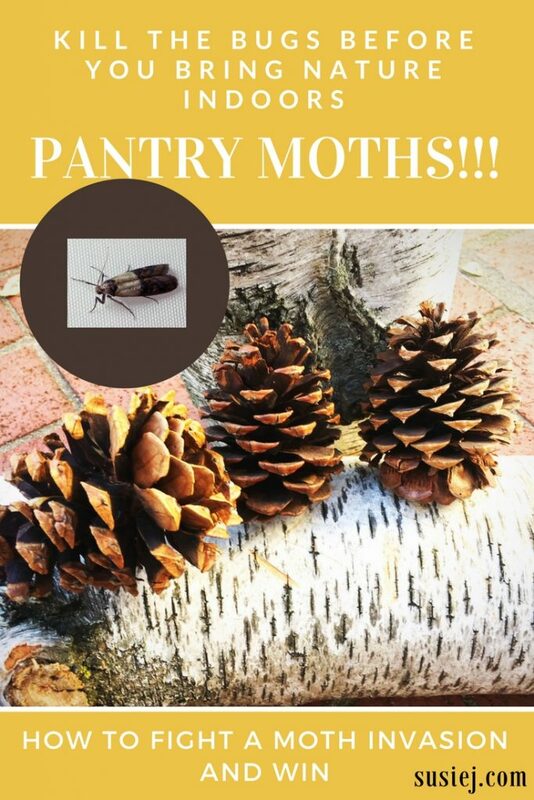 AND OMG I JUST FOUND YOU UPDATED POST from last December about how THE PANTRY MOTHS RETURNED!!! AHHHHH, so sorry. Hope that got straightened out. this has been a fascinating read! Im so glad i found this blog, as i discovered some sort of bug in my pantry about 4 days ago…been cleaning and spraying raid ever since. threw everything that was not in a can or bottle, nothing in pantry right now, took drawers out, tracks were where eggs were hiding, really worried about how long this might take to fix, i don’t know what the bug is, so tiny that my husband couldn’t even see them with his glasses on. i had to take picture and enlarge…i think he thought i’d gone bats#%t crazy at first! lol, glad to know this is a shared dilemma!